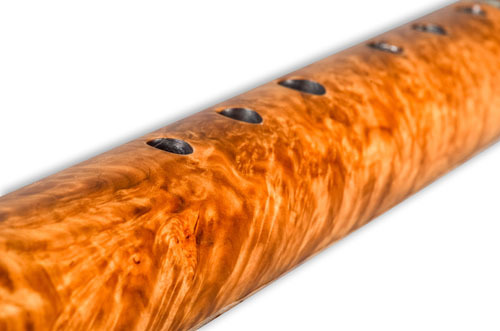 #5, 6, 7, 8, 9, and 10 are available to order now in your choice of pitch. 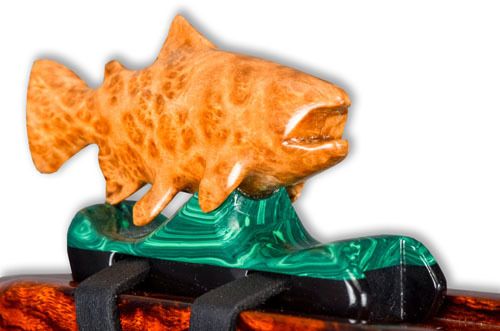 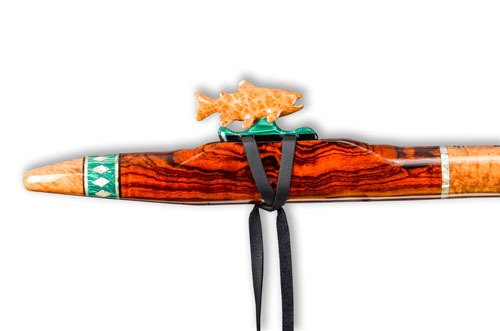 Trim materials: Malachite, Abalone, Ebony. 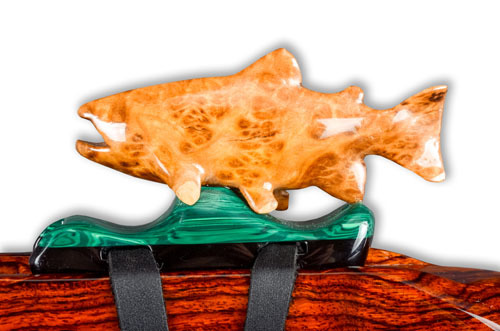 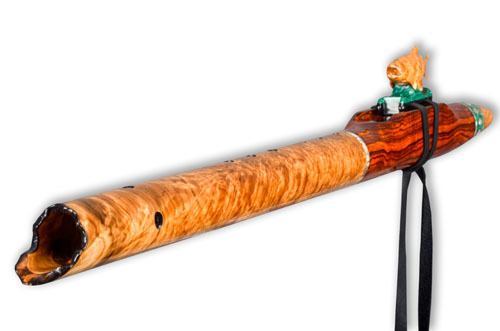 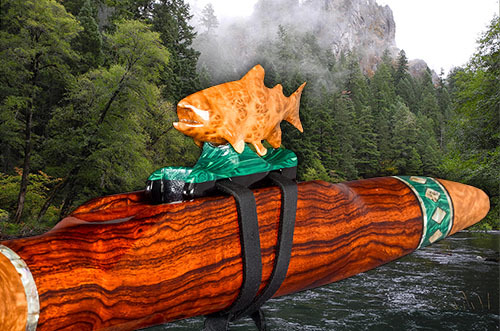 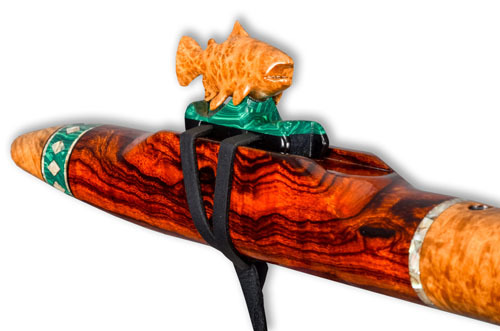 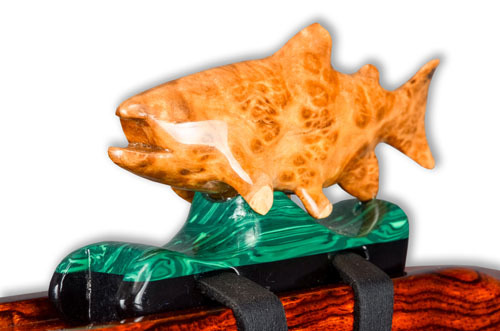 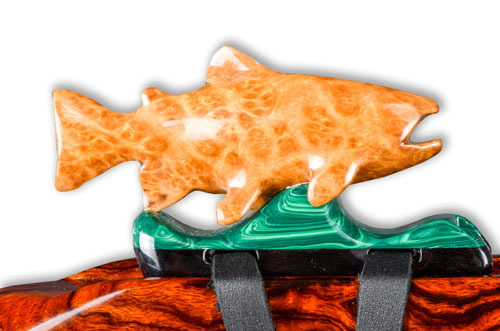 Acoustics: Ironwood is one of the best acoustic flute woods. 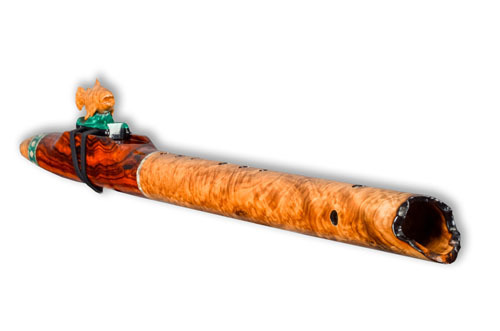 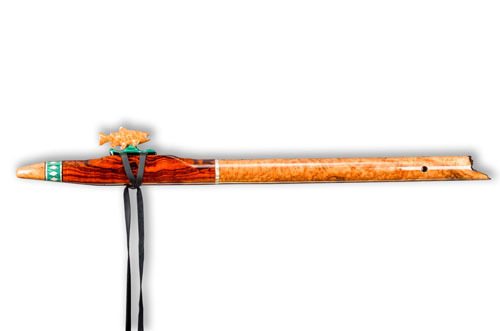 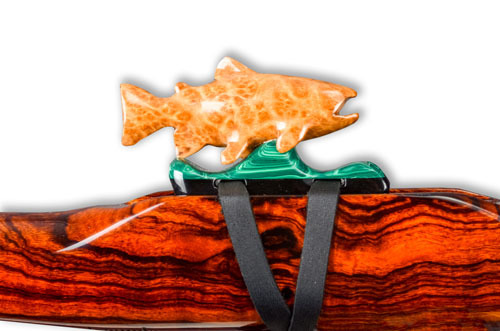 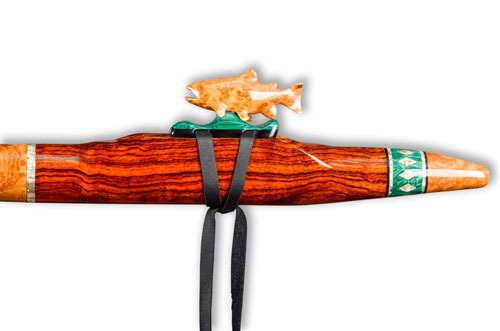 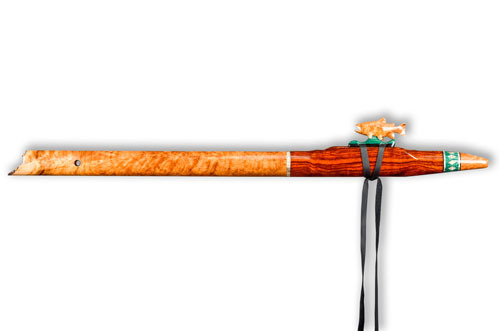 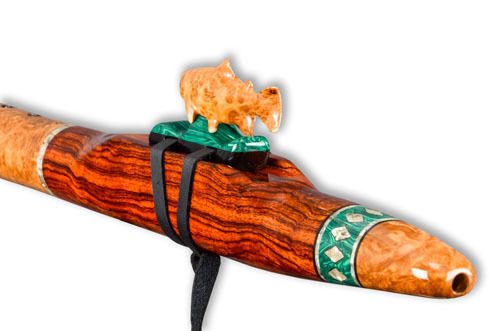 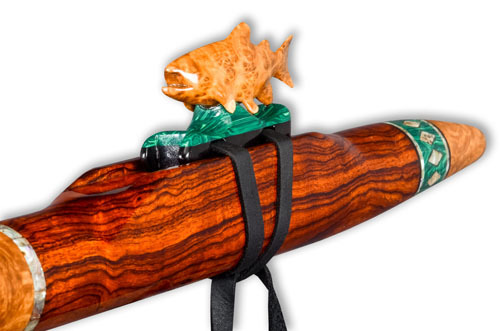 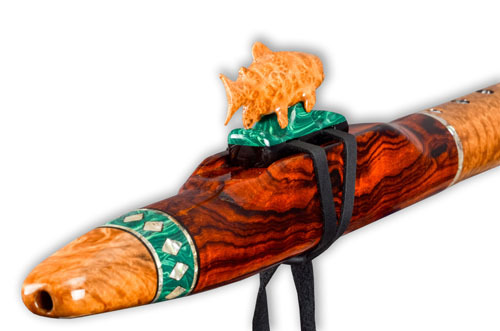 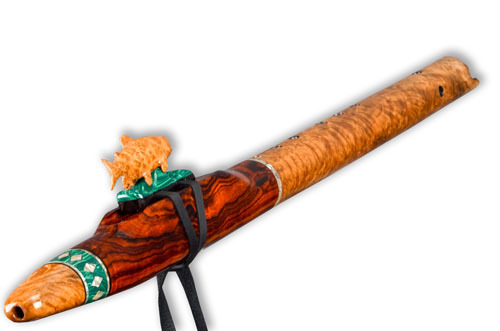 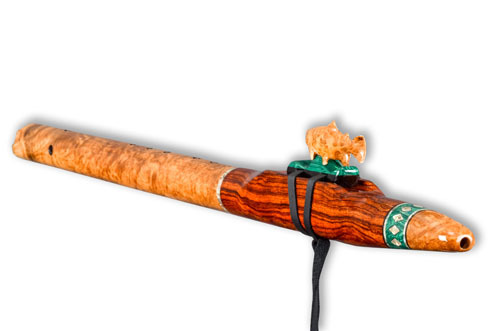 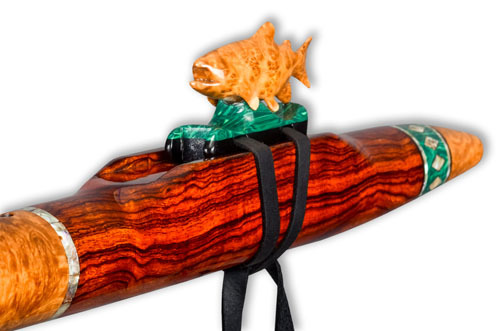 With the brown Mallee Burl, this flute is exquisite sounding with incredible dynamics.